MONDAY, January 22 will be the first day at big kids school for many children entering into pre-primary across Australia. 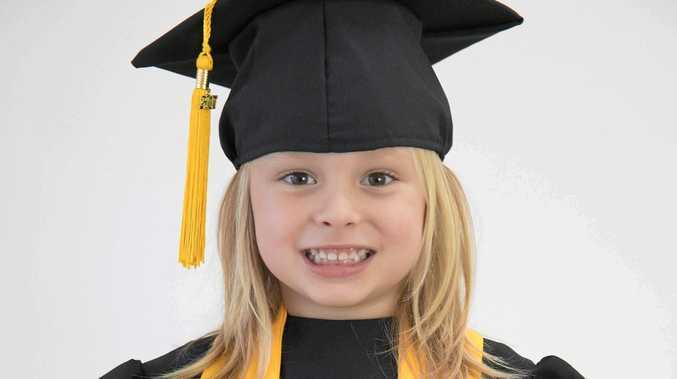 Just like many other kindy kids who graduated last year, Hayley Wilson will be stepping up to the big school. Hayley is excited to follow in her older sister's footsteps who entered into prep last year. Her first day at Proserpine State School isn't for another week yet, but she has been wearing her new school shoes since last year, her mother Bec Wilson said. With Hayley the second of four children, Mrs Wilson will still have her hands full looking after Hayley's two younger brothers during the day, but she's more relaxed about the milestone this time around. When asked what Hayley was most excited for at big kids school, playing with her friends from kindy was a top priority closely followed by meeting her new teacher. Leaving kindy doesn't seem to faze Hayley too much. "I'll miss the toys and arts,” she said.